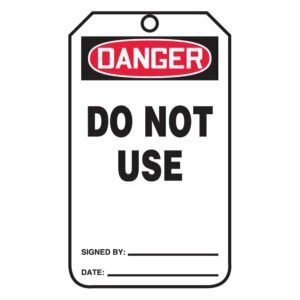 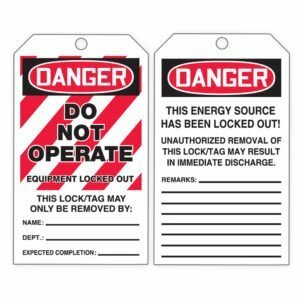 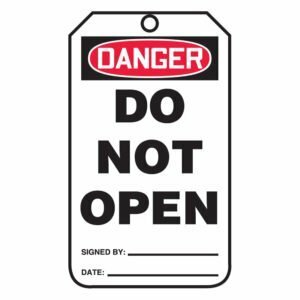 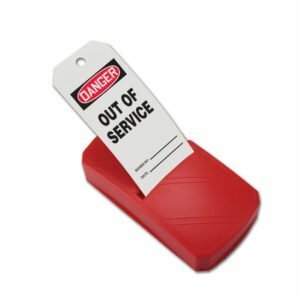 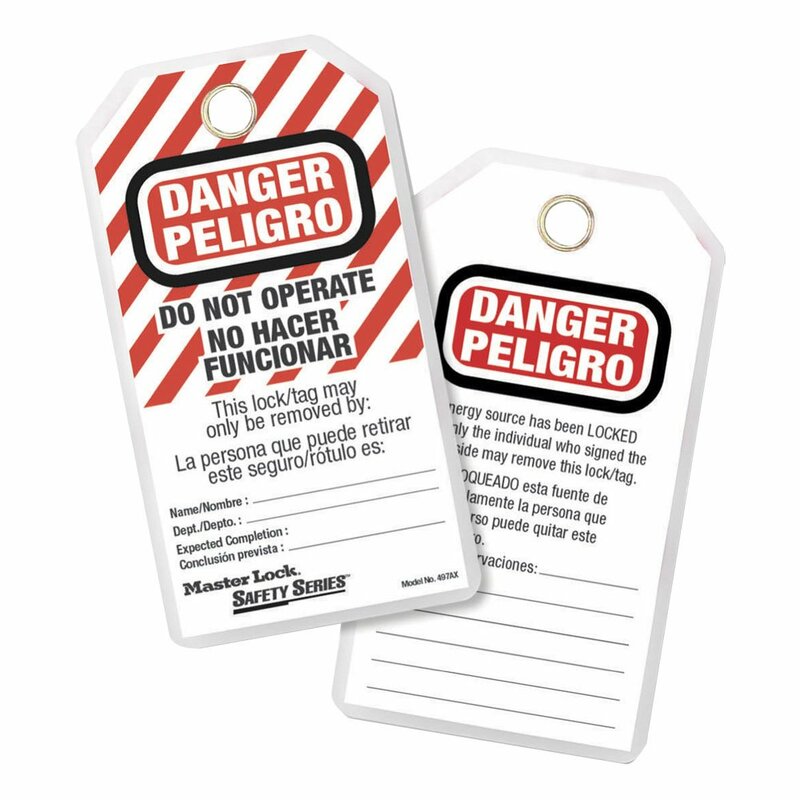 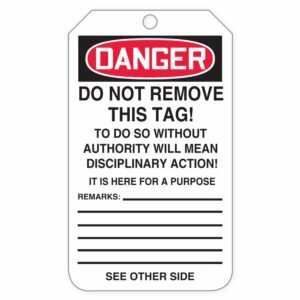 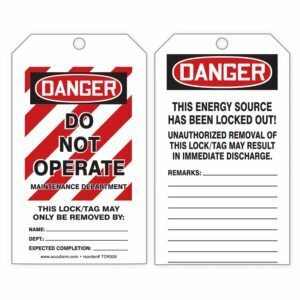 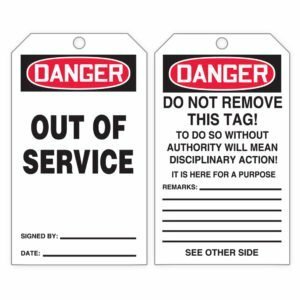 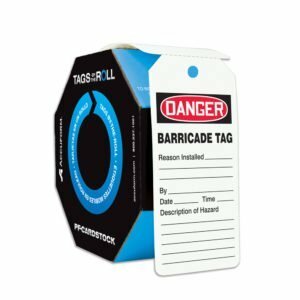 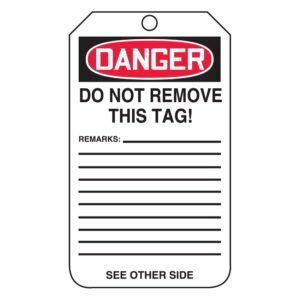 Master Lock 497AX Heavy Duty English/Spanish Safety Tags feature durable polyester laminate to resist water, grease and extreme temperatures. 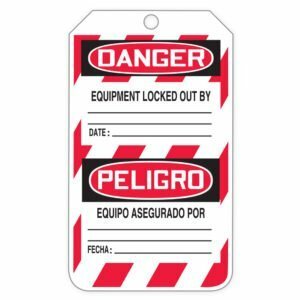 • The heavy duty construction withstands over 50 lbs. 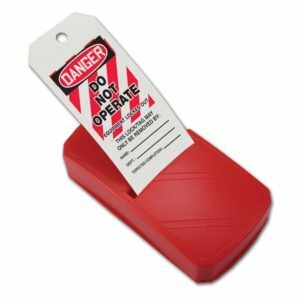 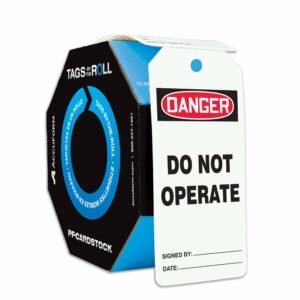 (23kg) of pull force to meet and comply with the OSHA lockout/tagout standard. 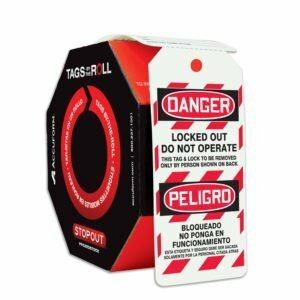 • 7/16in (11mm) diameter brass grommet accepts all safety padlocks. 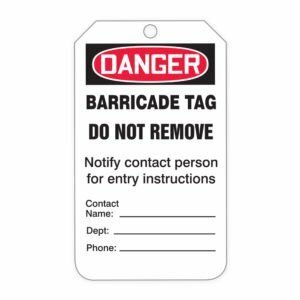 • Tags are customizable with name, department and expected completion date.